I went to South Korea last February 8 to specifically attend the 2018 Pyeongchang Winter Olympics. The quadrennial event is being held at the city of Pyeongchang and nearby winter resorts. I've always wanted to see an Olympic event, and this is my first time to witness one (Rio 2016 was a lost opportunity). I was excited to say the least. The winter edition of the Games are for sports practiced on ice and snow (duh), and although it has a smaller number of participants and overall number of events - 102 events and 15 sports - the winter games resonated to me as much as the summer edition, especially since I've watched Cutting Edge a while back (cheesy I know, but...). I've also been dipping my toes in winter sports, such as snowboarding (in Gudauri and Hakuba) and skiing. I've also watched live hockey games in the US, so the events have some familiarity with me. 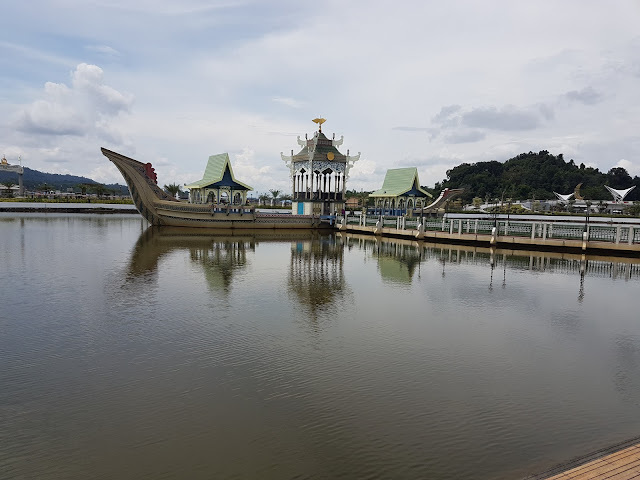 I visited Bandar Seri Begawan, the capital of the Sultanate of Brunei, last November. Brunei is located in the island of Borneo, surrounded by the Malaysian state of Sarawak. I stayed in the capital for two nights, arriving one Friday evening from a Cebu Pacific flight from Manila. BSB, as the capital is known, is different from all the other capitals of Southeast Asia that I have visited so far. No maddening traffic, no skyscrapers and crowds, and glitzy malls. In a word, I find the capital rather dull. Not a lot happened in the first 2 days of 2018, but some shopping and doing touristy things in Dubai. I arrived safely in Manila, and this concludes the trip. It has been an epic 18 days - visited 3 countries and 11 cities and towns - from snow-covered passes to deserts and everything in between, ate exotic food, got nekkid in hamams and baths, made new friends, and had countless spills on the slopes. Everything has been amazing, and can't wait for the next adventure. Thanks for following me here, folks! We reached the airport, and I got inside right away. Goong through immigration is now automated, no more stamps on the passport. I just got eye-scanned, and my passport too, and I am in the departure concourse. I got some more last minute items from duty free and I spent my last dirhams buying a box of dates. 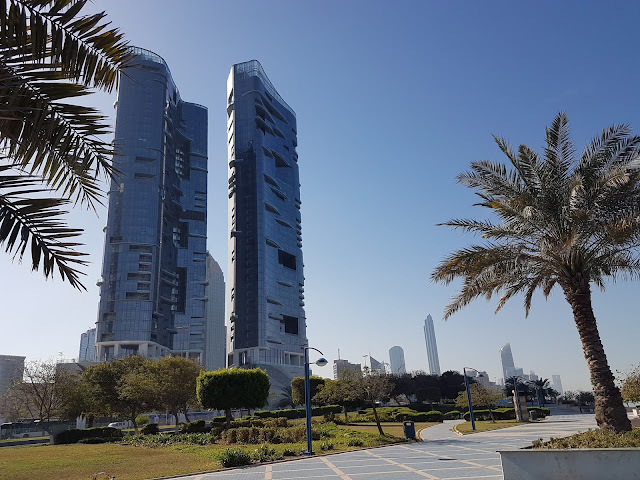 I traveled to Dubai on the last day of 2017 and spend New Year's eve there. Going home was absolutely bonkers! It took us 3 hrs to finally get a train and get back to the hostel. And the countdown began - and it's a happy New Year! This is my first time to spend NYE away from home, so the experience is a bit different. The lightshow was better in some ways from the fireworks, but nothing can come close to exploding things that light up the night sky to usher in the new year. Hashtag #justsaying. We picked a spot along the Financial Road overlooking Burj Khalifa where to see the lightshow. Then we waited. We decided to eat first, and we picked a Lebanese restaurant to have our NYE meal. I ordered shawarma and avocado drink. My hostelmate from Japan and I decided to go to Burj Khalifa to see the NYE lightshow there (fireworks were canceled this year). One of the museums that's on my list of must to visit within this lifetime is the Louvre. I sort of check it with (an asterisk) today when I visited the Louvre Abu Dhabi. 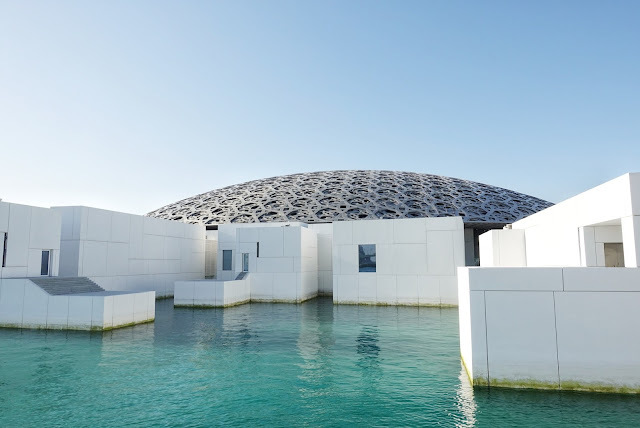 The Louvre Abu Dhabi was established in November 2017, though construction of its building started in 2009. 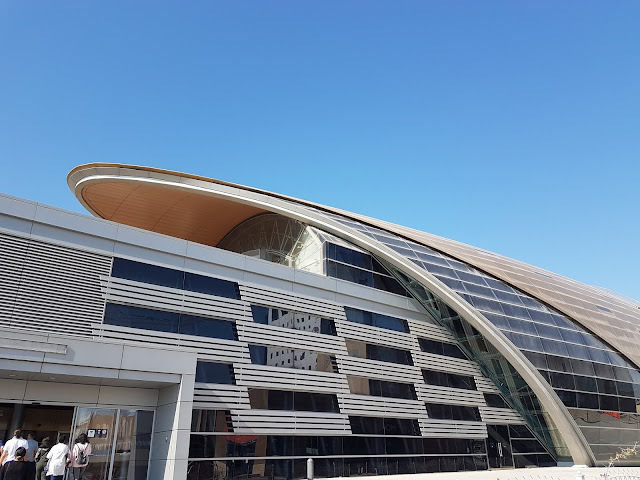 The museum is a partnership between Abu Dhabi and the French government. Located in the island of Saadiyat, the museum is the largest art museum in the Arabian Peninsula. I visited it on my second day in Abu Dhabi. First thing that you will notice as you enter the museum complex is its architecture. Made to look like it was set in the middle of the sea, tidal pools surround the building. At the center and seems to hover around the it is the web-patterned metal dome, the pattern arising from aluminum stars that are joined and tesselated in several layers. This lets through the light from the sun, which then casts shadows like that of "palm fronds in an oasis." Day 15 is mostly just exploring the city, and the Louvre Abu Dhabi. I spent more than 2 hours inside the museum, then I called it a day. I won't visit the Sheik Zayed Mosque today, instead I will go there tomorrow before going to Dubai. I went back to the hotel and was sort of cocooning there since afternoon. There was a long line going to the ticket counters, and it took me about 20 mins or so to get a ticket. Once inside, it is all worth it though. The art works and artifacts on display are priceless. Like Hagia Sophia I will do a separate post for the museum. UAE is known for their over-the-top malls, and this one did not disappoint. I chanced upon a multi-adapter in a gadgets kioks, so I got one. I also got my caffeine fix in a Starbucks (as always, they mispelled my name). After coffee I took a taxi to Saadiyat Island, to visit the Louvre.